Architectural-metalwork is the production of artists, architects and designers, whose concepts of pleasant and harmonious views of tri dimensional structures find expressions in their projects and in their realizations. The objects of their creations, ornamental and architectural metalwork, can be purely aesthetic constructions, whose purpose is only to gratify the viewers, without any practical use, besides the decoration of the space they occupy. 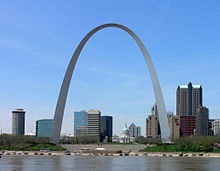 Such was the Eiffel Tower (1889) in Paris, France, and more recently (1965) the Gateway Arch in St. Louis, Missouri, US. It is true they are being used to offer to their visitors a high standing point of view of their surroundings, paying with the proceedings of the visits for part of their maintenance. But, at their time, they were also outstanding aesthetical and technological achievements which became world renowned icons. Or, more commonly, they may cover a function suitable to benefit a certain class of users. That, while fulfilling the needs of the eyes to view and enjoy beautiful objects. Remarkable architectural projects may date from the dawn of prehistory, but the use of metals in architecture is relatively recent, reflecting continuing progress in materials utilization and in technology. Among the most common types of Architectural-metalwork one can remark gates, bridges, staircases, balconies, balustrades, building facades and other kinds of fixed structures. Also means of transport on rail, on road or on water, as well as aircraft and space vehicles, built mainly of metal but increasingly also of composite non metallic materials, exhibit attention to aesthetic requirements, as visual appeal is often an important attraction for users. Other applications like communications, power generation, mining, agriculture and petroleum pipelines may address Architectural-metalwork principles. Less common Architectural-metalworks may fulfill specialized useful functions and still cater to the visual requirements of a sensitive public. The designer with an artistic vision of his/her projects, develops in time deep understanding of the characteristics of each material used and of the capabilities of different building processes. Nevertheless it is quite a necessity that the designer be supported by technologists who know materials and processes likely to allow the realization of the concepts in actual physical bodies capable to withstand the conditions of installation and use. Cast iron used to be the preferred material for building gates, ornamental fences, poles and pillars. It is now usually substituted by fabrications using welded wrought materials. However cast iron is still available for realizing unique structures to customers with a penchant for old style looks. 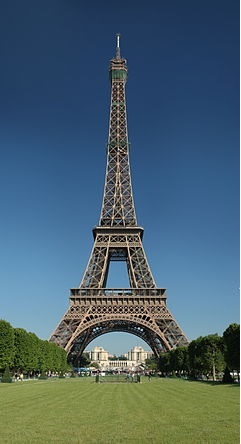 In more recent times steel began to be used for building bridges, towers, vessels, ships made by riveting, long before welding was developed as a suitable construction process. Steel of course comes in a plethora of kinds and types, which is its most important characteristic in that it allows to select the most suitable and least costly material for every application. This quality is an issue of the versatility of steel, or its capability to exhibit a multitude of mechanical properties depending on composition and heat treatment variability. Minor changes in composition, arrived at with thorough studies and long time experience and trials, make the steels susceptible to special heat treatments that in turn generate the unique micro structures responsible for the mechanical properties most sought for the individual application. Advanced steels with improved mechanical properties permitted to build lighter structures for demanding fabrications, including those that could not have been built with older materials. Special weathering steels were developed which do not need constant maintenance like cleaning and painting to protect their surface from corrosion. They are popularly used in outdoor sculptures. Whole life costing, together with environmental concerns, became essential construction considerations. Among the contributing factors to be taken into account when estimating total cost one finds materials, maintenance, repair, refurbishment, waste, energy usage, demolition and disposal. Stainless steels stand out for their exceptional corrosion resistance properties, ideal as durable construction materials used to last with minimal maintenance. 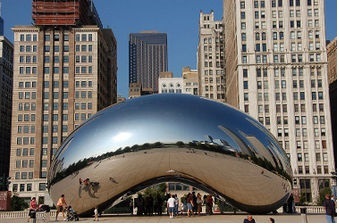 An outstanding example of a public sculpture made of stainless steel is the Cloud Gate, by Indian-born British artist Anish Kapoor, (2006) that is the centerpiece of AT&T Plaza at Millennium Park in the Loop community area of Chicago, Illinois. Architectural-metalwork application of stainless steels multiplied as the duplex types were developed, exhibiting exceptional mechanical properties together with no-rust capability. An illustration out of many of such a use can be seen (2) in PWL#121. A recent page on Casting Repair was recently added to the website. Art, Science and Technology come together in Architectural-metalwork to offer new and bold monuments that become signs of the time and icons of the place. The evolution and the history of human achievements are written in outstanding constructions scattered all over the world. Looking around with a curious eye is rewarding, in that it enriches knowledge and experience of human evolution through aesthetic appreciation of manufactured technological masterpieces.